User Experience is the biggest trend in website design this year, and with 88% of online consumers being less likely to return to a website after having a bad experience, it's more important than ever to make sure that your users are having a great experience time and time again. What is UX and what is the point? Why should you let UX lead the design of your website? What is UX & what is the point? User Experience (UX) is one of the most important considerations to take whilst designing any kind of digital, or even physical, product or service. 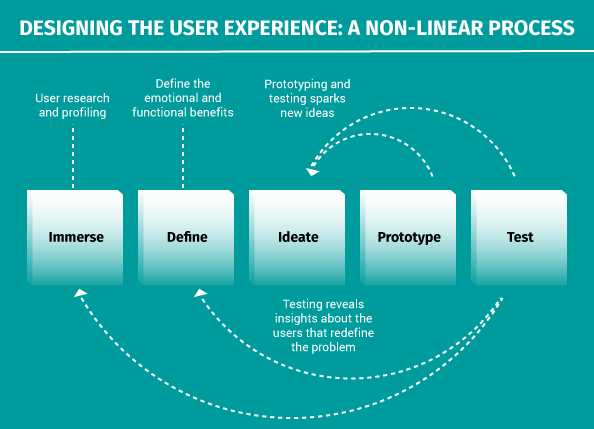 The term ‘UX’ most often refers to the design of a positive and efficient user experience on websites, apps or other kinds of digital software, it is largely based on user behaviours. As of 2018, more than 4 billion people across the world are internet users, and so naturally, the online world is getting more and more competitive. This competitive online landscape means that designing the most effective and convenient digital experiences for those billions of people is BIG business. And if you want your business to succeed online, buying into it will ensure that you get ahead, so long as you can keep up. UX is an ever-changing discipline and since the term was coined in the early 90s by Apple’s Don Norman it has changed year by year, week by week and even day by day. When we use the internet, there are certain expectations that we have. For instance, in visiting an E-commerce site, we expect to browse through a list of products and then to choose one or more of them, we put that product into a basket and then we go to the checkout where we enter our personal and payment details and the process of purchase is complete. This is a pretty universal pattern and is the same across the internet whether you’re purchasing from Amazon, ASOS or an independent online retailer. Being able to navigate through without thinking or stumbling is what makes it such a successful process. How I click through a website, however, won’t be the same as how you click through it, just as we have individual behaviours in the real world, we also have those individual behaviours online. If you are a UX designer, there will always be a user who will use your prototype in a completely different way than how you would have expected. This is why UX as a discipline relies heavily on psychology and user data to inform how the project plays out. There will always be rigorous user testing, and the project will go through a number of stages using trial and error before a project gets to where it needs to be. A great way to illustrate this is with the Facebook ‘Like’ button- the detail in the design is by no means apparent with this one, but what may seem like a ‘small detail’ to us was anything but. The redesign of this button took the designer an estimated 280 hours to complete. That does, at first, seem crazy but it becomes clearer when you consider that this tiny button needed to be understood across global languages and cultures, on a huge range of screens and devices, and it also needed to stick to colour, width and length limitations. If that doesn’t get across the difficulty of the design, maybe it will make sense when you realise that this button is seen about 22 billion times a day and across 7.5 million websites. It’s a small detail that really does make a pretty big difference if its meaning doesn’t get understood universally. UX aims to create the most positive experiences for users online, making their journey through a website as simple and as fast as it can be so that they can get on with other day-to-day tasks like binge-watching Netflix. I hear the worries that this may be igniting in your mind. You might be thinking- ‘but making the process quicker means that they spend less time on the website, and that’s a big part of reporting back on the successes of a website’ and yes, that is true, but this is a new era. In getting the users in and out as quickly as possible, you are making their lives easier and giving them an overall seamless and efficient experience, this makes them want to come back again because they know it will be a positive experience, and so suddenly they have developed a loyalty to your brand or product. Is the website useful? Does the website fulfil a need? Your website needs to solve a pain point for a user, it needs to have some kind of reason for existing. Why would the user want or need to be on your website? Is it easy and enjoyable to use? Is it learnable and navigable? As people, we build mental models of how the world works, and then we apply those models to new situations. So in going through a website, we navigate through it based on our experiences of using other websites, and those that are the most efficient and the easiest to learn and navigate will be the ones we mentally refer to in visiting new websites. The term ‘satisfice’ was described by Steve Krug as being when users don’t evaluate all of the available options, they select the first and easiest one that fits the bill. When visitors go to a website they will normally select the first-reasonable option, as opposed to spending time learning in order to find a better option. We only need so much knowledge to get by, so we only learn that much. In the UX design of a website, this behaviour pattern means that its usability needs to reflect a ‘first-reasonable option’ approach, every step you want a user to take needs to be as obvious as it possibly can be. Good design has been proven to speed up the decision making process. We make decisions fastest when we attach emotion to it, and as beauty evokes emotion, we can deduce that beautiful design makes for faster decision making. The modern-day consumer is in need of products that are both beautiful and functional. Whether or not your website aims to create conversions is really important here, because if it does then having a familiar user journey will be vital. If you want to make sales there and then, you need your users to already understand how to use your website. But, if your website aims to disrupt and to create a lasting effect on the user, such as for agencies, architects or in any creative space (i.e. those like musicians and artists) the UX can veer away from the typical rules and conventions of UX led websites, they’re more able to test the waters of completely new online ideas. Your design needs to give the impression that you are a trustworthy, believable source. A well thought out user experience design will give off the impression of confidence and trustworthiness. When you think of times that you have visited a poorly designed and chaotic website and you haven’t been able to find what you’re looking for, how long was it before you gave up and tried somewhere else? A study by Microsoft Corp found that the human attention span is just 8 seconds, so your website has just 8 seconds to convince the user of your value and to continue on their journey through your website. As we’ve said previously in this article, the first and most important aspect to consider in UX is the user and their behaviours. Forming personas and doing a significant amount of user research is the very core of UX. If you don’t understand your core demographic then how are you supposed to predict their behaviours enough to build a website for them? Figuring out what they want or need and what they struggle with will ensure that you are getting into their heads enough to solve those issues for them. Next, planning how the user will go through the site using your wireframes. 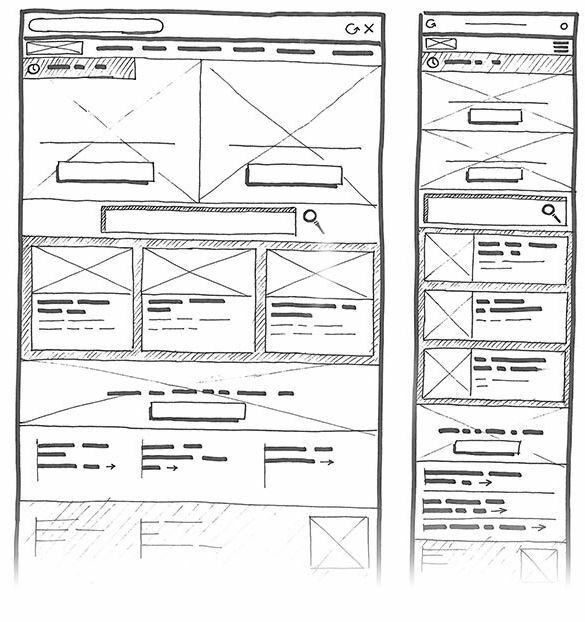 Wireframes are a visual guide that represents the skeletal framework of a website. Wireframes are a massive part of UX, in creating them you ignore the visual design elements and the copywriting, giving you the space and the clarity to plan out the user’s actual journey. A way of getting started with this could be to draw out a wireframe of your favourite 3 websites and compare them, taking note of things like what they have in common, what you think works well and what doesn’t. In building your actual prototype, you can’t just make it look pretty based on your research findings, the copywriting is also important. UX copywriting isn’t the same as copywriting for your brand in other places, UX copy gets the message across as quickly and as efficiently as possible. Take a look at what you’ve got and think, is it clear? Is it direct? Is it functional? Say only what you need to say, no more, no less. Then it’s back to testing this with the user, going through a rigorous testing process will help you to identify what works well and what doesn’t. You can speak to them about how they found the experience, but without even realising, users often lie, so physically watching them go through the website will give you the opportunity to take a step back from your work and take note of where they hesitate, how they interact with the design, what they choose to engage with and where you can improve on the user journey. 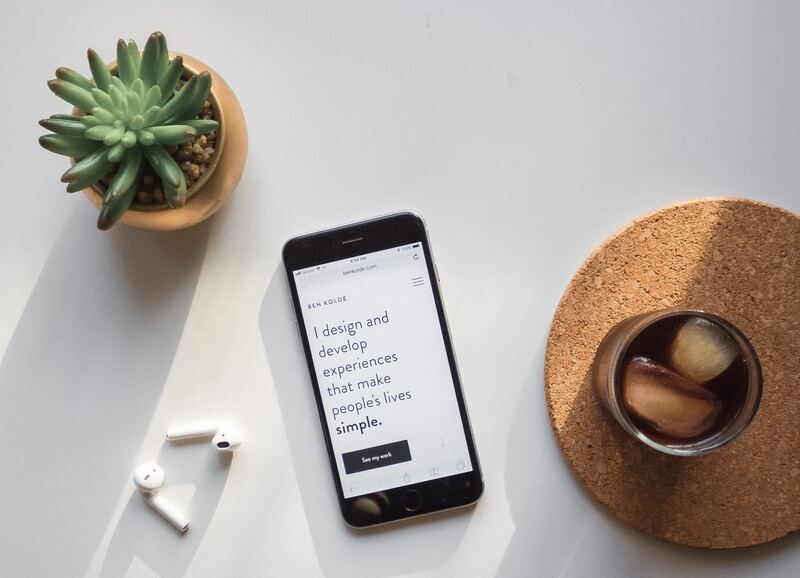 UX is a vast discipline, but using it in the design of your website, app or software will be beneficial to you and your brand in so many ways. As online competition increases, UX will most likely become the future of all digital design. So in designing your website, maybe consider going to an agency that specialises in UX or maybe even hiring your own UX designer could be the right move for your business. If that’s not on the cards, it could just be a case of getting clued up on the topic so as to use it to influence your digital decisions wherever you can. Whatever your budget is, you can’t afford to ignore your user… It’s your user who will determine whether your website is a success, or not. Click here for more tips on creative website design. Broaden your audience, improve user experience and future proof your website. How can the McKinsey Value of Design Survey help you? Do you recognise the value of good design but find it difficult to convey its potential to your Board of Directors?